"The Boutique Real Estate Group - A Worldwide Luxury Real Estate Company	| Property for sale in Riverside, 5834 Rutland Avenue"
PRICE REDUCED! Grab it while you can! Beautiful 3 bedroom home! Remodeled inside and out! New paint, new kitchen cabinets with granite countertops, new plumbing and light fixtures, new dual pane windows, plus new miniblinds, and all new flooring throughout! New stove and dishwasher in the kitchen. Bathroom features new ceramic tile in the shower, new tub and a vanity with a granite countertop. Spacious living room with wood laminate flooring. 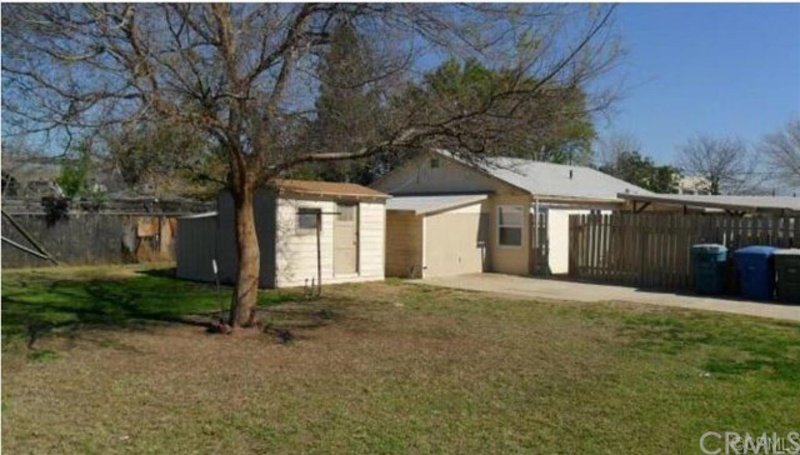 All 3 bedrooms have new carpeting. Large, fenced corner lot! Across from elementary school. Single car garage plus an extra workshop and a metal storage shed! Electrical service has been upgraded, too! Spacious covered patio with a brick bar-b-que. Plenty of room for RV or boat parking.